Following the success of Rizzoli's The Blue Note Years, the treasured archive of Francis Wolff photographs has been opened once again to present a previously unseen collection of dynamic images. Included aer never-before-published color images from Wolff's later years of photography. This volume is a collection of the jazz photographs taken from 1941 to 1968 by Francis Wolff, cofounder of Blue Note Records, to document the world's most famous jazz label. Vignettes tell the story of Blue Note Records; its founders, Alfred Lion and Francis Wolff; recording master, Rudy Van Gelder; and many of the labels' great artists ─ Jimmy Smith, Miles Davis, Wayne Shorter, Herbie Hancock, Grant Green, John Coltrane, Lee Morgan, Hank Mobley, Joe Henderson, and Art Blakey, among others. Michael Cuscuna was an FM disc jockey and music journalist before turning his attention to producing new recordings and reissues. He has produced Dexter Gordon, Woody Shaw, Bonnie Raitt, and McCoy Tyner, among others. 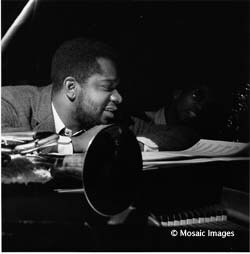 He is also a consultant, producer, and reissue director for Blue Note Records, which was reactivated in 1984. He has served as consultant on the film Round Midnight, Ken Burns' JAZZ, and Columbia's Miles Davis reissue series. Charlie Lourie was a professional woodwind player and saxophonist in the greater Boston area before moving into the music industry. He was a marketing executive at Columbia Records, a director of marketing for Blue Note Records and a director of jazz and progressive music at Warner Bros. Records. In 1982 Lourie and Michael Cuscuna founded Mosaic Records, a direct-mail label dedicated to reissuing classic jazz recordings in definitive, limited-edition boxed sets. Oscar Schnider is a founding partner of the multidisciplinary design firm Schnider & Yoshina, Ltd., located in New York City. While his firm specializes in global marketing programs, he remains passionately involved in creative projects promoting jazz, including designing the Mosaic Records brochures and promoting the annual Panasonic Village Jazz Festival in New York City. Even if you haven't heard the name Francis Wolff before you have probably seen many of his photos already. They can be found on many Blue Note albums. Some of them also became classics on their own. 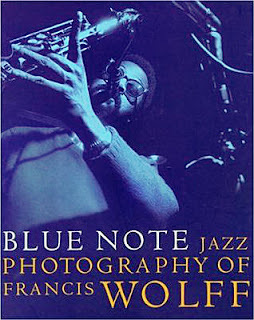 Francis Wolff is the co-founder of the Blue Note record label. Before becoming a full-time producer by the end of the Sixties, he spent a lot of his time taking photos of the artists while they were recording. All these photos are taken with a sort of simple equipment (just a camera and one flash) without posing. The photos were taken while the musicians were playing or composing of resting. There is an enormous depth and clarity in the pictures and you can nearly sense the personalities of the musicians. This collection of Wolff's photography is a must for every fan of classical photography and, of course, it's a must for die-hard Blue Note fans.